Man, I WISH. I'm sure there are festivals dedicated to this most pillowy and delectable of Italian potato dumplings, but I haven't yet been to one. Luckily, I have a husband who occasionally indulges his love of the gnocchi (singular gnoccho), and last week was one of those times. 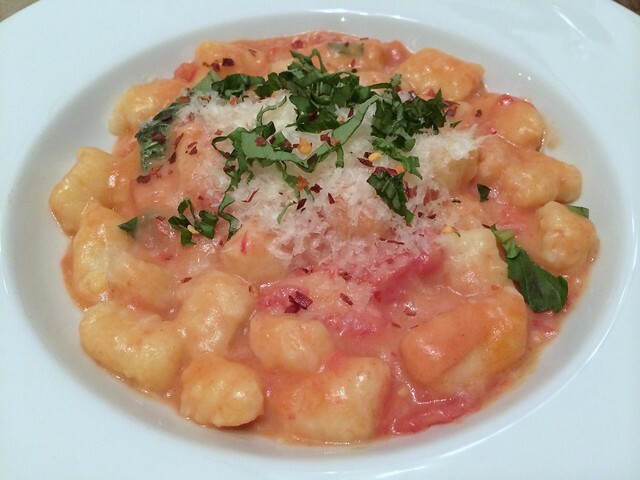 We had gnocchi TWICE, guys. TWO TIMES. DUE VOLTE. DOS VECES, seriously. This is freshly made, with a tomatoey cream sauce. aHOOOga, amirite? 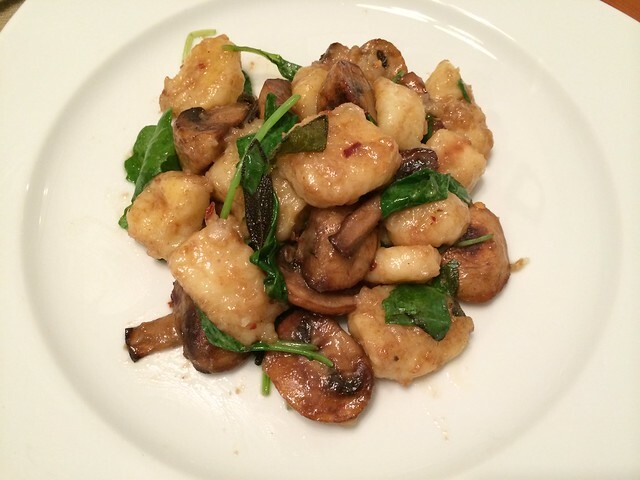 Logan's refined his gnocchi recipe over the years. I'm not the recipe master Logan is, but I can give you a rough outline of what he did. He weighs some of the ingredients for the pasta, because that's how he was taught in Italy. The method of preparation in Mario Batali's gnocchi recipe is pretty much what Logan does, though you'll notice Mario boils his potatoes and uses WAY more flour as well as the whole egg. Logan says this will make for a more forgiving dough that's less likely to break apart while boiling. Logan also rolls out his dough dowels on a floured board, which he says adds a little more flour that's definitely good for it. We had the last of the gnocchi on Sunday night after going to Formula One. Logan tossed it (the gnocchi, not the formula one, what?) with sage brown butter, sautéed mushrooms, and a handful of greens. OMG. He's pretty amazing, guys. Just sayin'.